Evaporative cooling is the low-cost, environmentally-friendly alternative to expensive air conditioning systems. 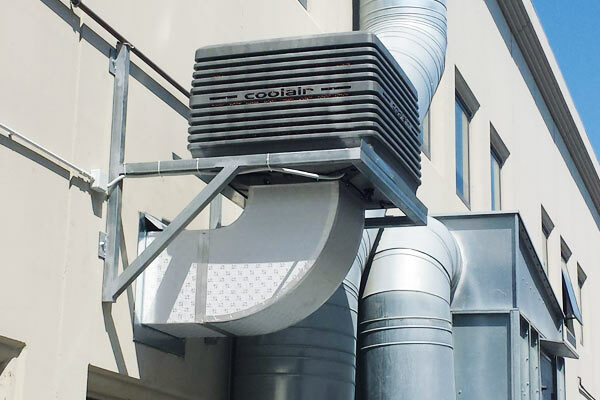 Evaporative cooling systems are fast becoming the standard way to cool industrial and commercial premises, by drawing air through continually wetted pads that surround the unit. The evaporation of the moisture into the air reduces its temperature, whilst the process also filters it, removing airborne contaminants. In addition, evaporative cooling systems offer low installation, operating and maintenance costs. As well as saving you money, evaporative cooling systems are environmentally friendy and energy efficient. Doors and windows can be left open, with no loss in efficiency. 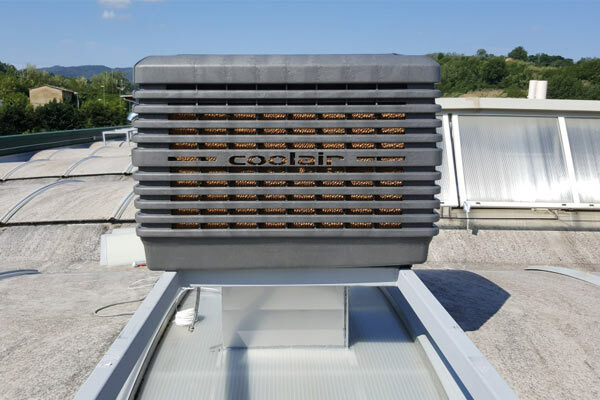 Evaporative cooling systems are designed with energy efficiency in mind, typically consuming up to 80% less energy than traditional air conditioning systems and with the ability to install without any structural alterations to your existing building. Interested in our evaporative cooling products?